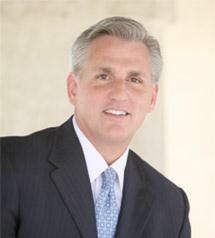 Congressman Kevin McCarthy is now accepting applications for his Summer Internship Program. Summer Internship applicants must possess good writing and computer skills, be enrolled in college or recently graduated, and should have a minimum 3.0 Grade Point Average. Preference will be given to residents of California’s 23rd Congressional District (Kern and Tulare counties and part of Los Angeles County, including Lancaster); however, all applications will be considered. Summer interns are responsible for their expenses, including transportation and lodging costs, but will receive a $1,500 stipend, before taxes. The Summer Internship program will be an eight-week session; interns typically spend two weeks in the Bakersfield district office followed by six weeks in the Washington, D.C. office. Interested students may download the internship application at http://kevinmccarthy.house.gov/services/internships. Students are also required to submit a resume and a 250-word essay detailing their interest in the Summer Internship Program and what they expect to learn from the experience. Applications and supporting documents should be sent to Congressman McCarthy’s Bakersfield office at: 4100 Empire Drive, Suite 150, Bakersfield, California 93309, or emailed to: Robin.Lake-Foster@mail.house.gov. Applications must be postmarked or emailed no later than Friday, April 4, 2014, but applicants are advised to submit their application as early as possible as decisions will be made on a rolling basis.